Want to get up and running quickly? Our Quick Start Guide shows you the essentials. 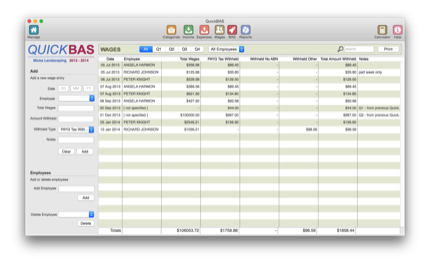 In QuickBAS you create a new Worksheet for each business and each tax year. The BAS Manager is the opening screen that lets you create and delete worksheets. Every income and expense transaction belongs to a category. 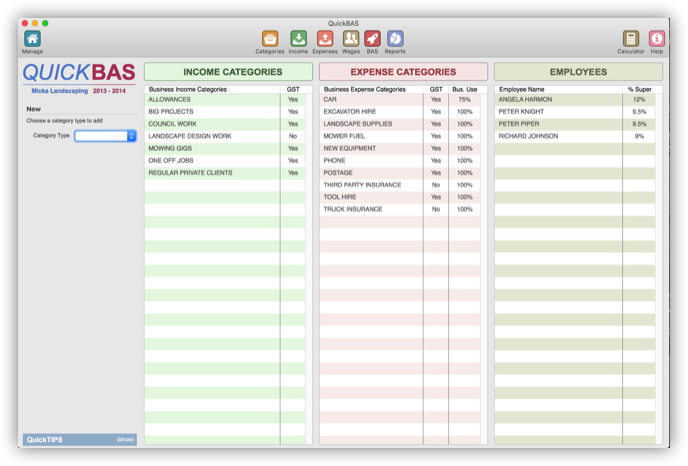 Create the categories on the Category Sheet. The Income Sheet is where you enter your business’s income transactions. The Expenses Sheet is where you enter your business’s expense transactions. The Wages Sheet is only for those businesses that have employees. Use this sheet to add employees, wages and withholding tax. 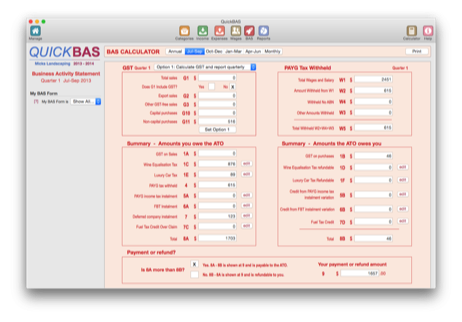 The BAS Sheet calculates your BAS based on the Income, Expense and Wages transactions. The Reports Sheet provides annual, quarterly and monthly summaries of all your transactions, listed by income and expense categories, and by employee. Helpful for your annual tax return. Here is how QuickBAS keeps your data secure. 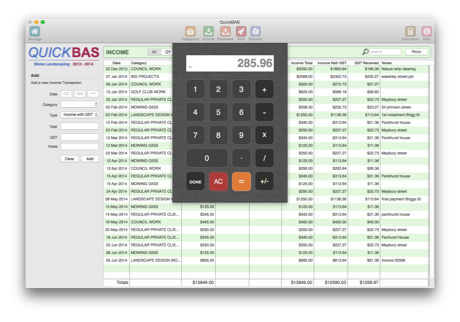 QuickBAS has many extra features to make your data more secure, and your workflow more convenient.